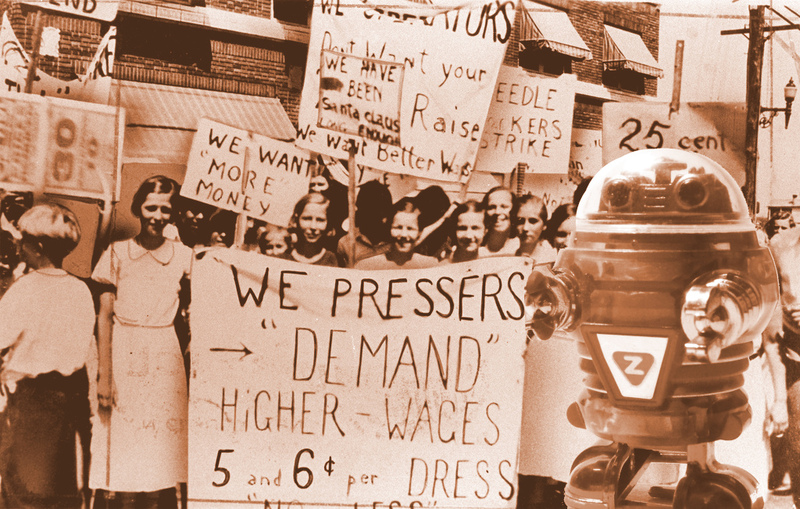 The first wave of computerized automation caught trade unions flat-footed; already reeling from the Reagan-era attacks on labor, union leadership failed completely to come up with a coherent response to the automation of manufacturing industries (a notable exception was the longshoremans' union, which ensured that containerization led to massive pay raises and generous retirements for the workers whose work was largely eliminated by better shipping techniques). With a second wave of automation upon us, unions representing service workers and truck drivers are floating more nuanced responses to automation, calling for worker input into how their jobs are automated, "about how technology can assist the work we perform and ease the rigors of our work, how our members are trained, what happens to workers who would otherwise be tagged as redundant, how our members are repositioned to succeed or hired into other workplaces." It's exemplary of the new labor consciousness of protecting workers' interests in an era of technological abundance -- ensuring that as work disappears into automated systems, workers themselves share in the dividends of that automation.